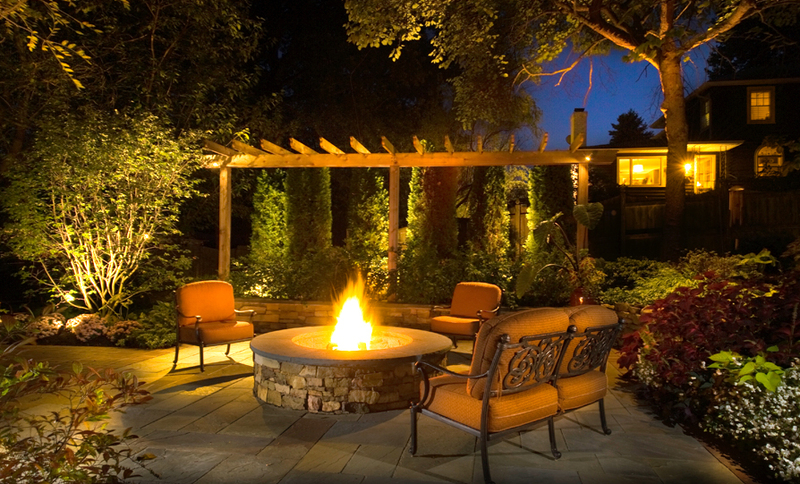 Design Intent: The client wanted to transform their modest backyard into a series of outdoor rooms that would be ideal for entertaining small and large parties. 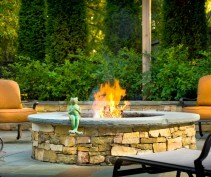 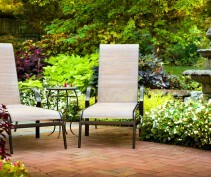 A natural stone wood burning fire pit would be the focal point. 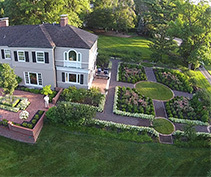 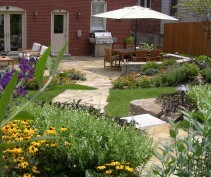 The preferred garden style was natural woodland with seasonal interest. 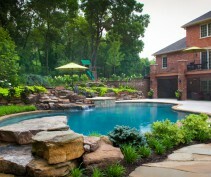 The clients desired a privacy screen from neighboring properties. 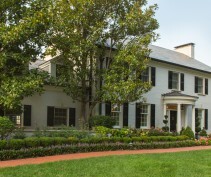 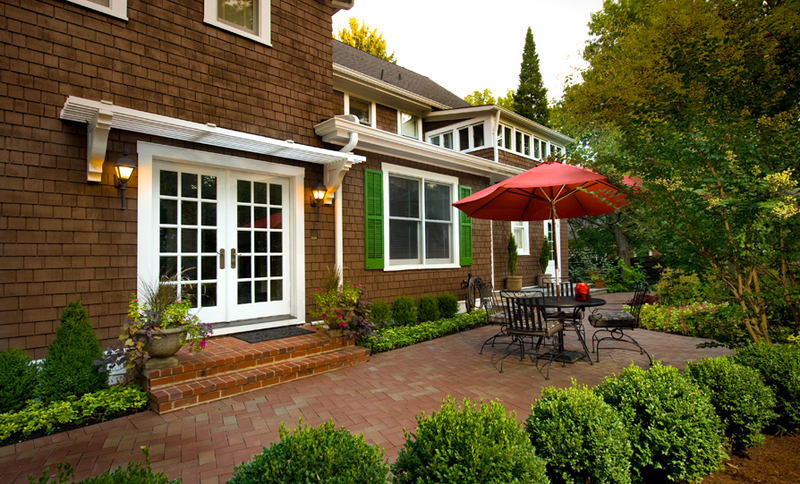 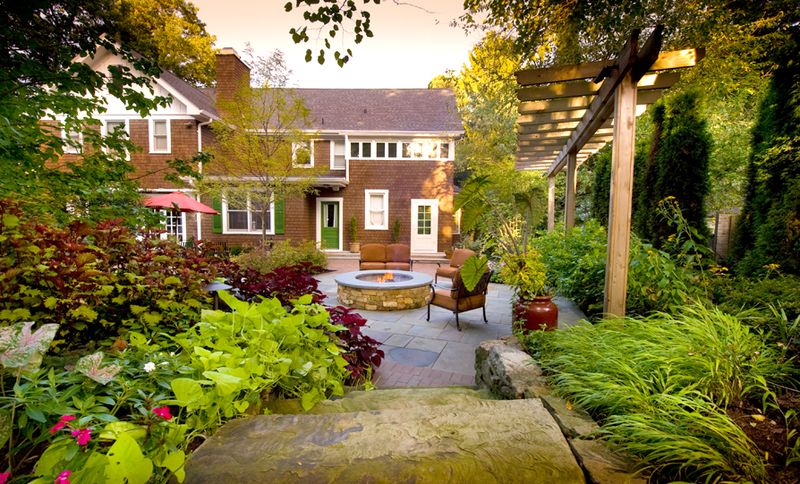 The century old charm of this Webster Groves home is complimented by creating a warm clay brick patio, weathered fieldstone walls and Pennsylvania bluestone accents. 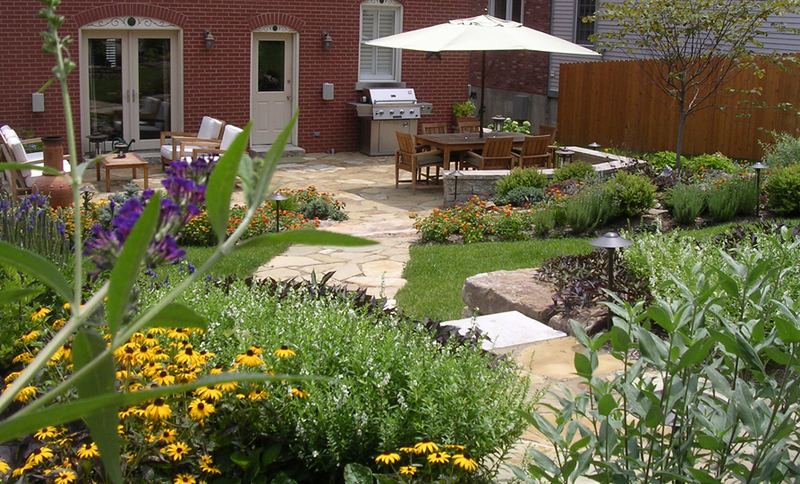 The yard sloped down towards the house, so we implemented a weathered fieldstone wall to retain an upper garden terrace created for a sense of dimension. 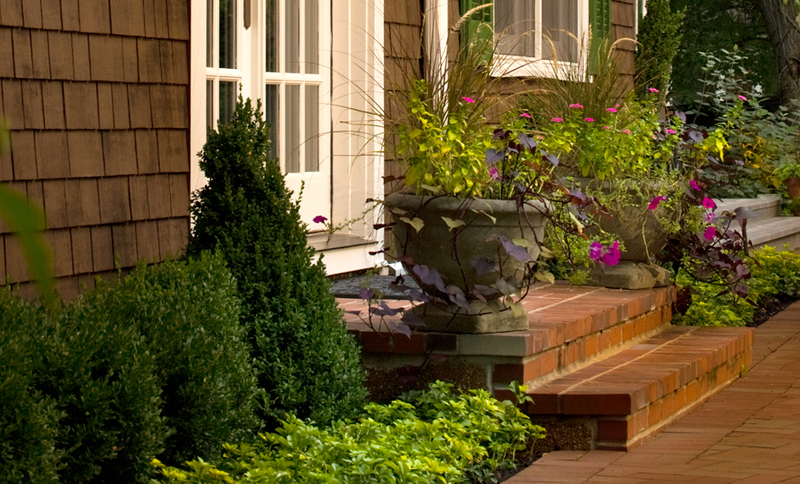 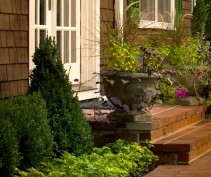 A planting buffer was added on top of the wall, creating layers of interest and providing privacy to lower spaces. 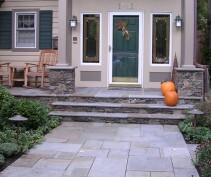 Natural stone slab steps lead you to the upper terrace with a small green space for the clients two Bichons. 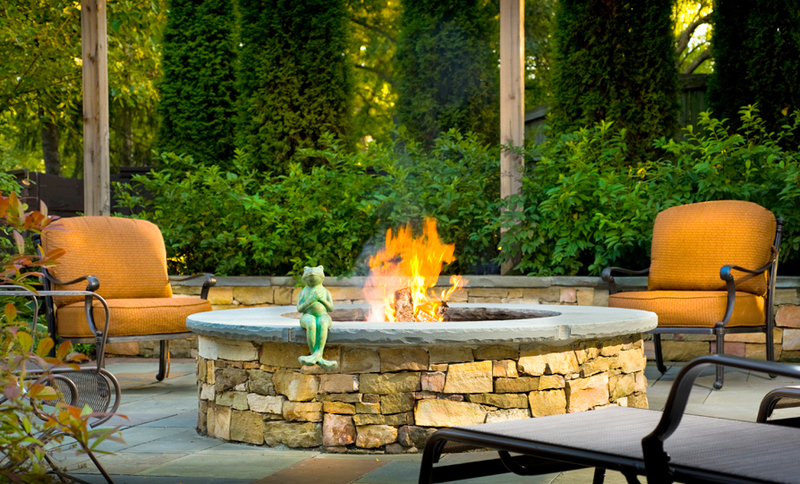 The full masonry fire pit was installed as the signature feature using the same fieldstone as the walls and capped in bluestone, which creates a unified look. 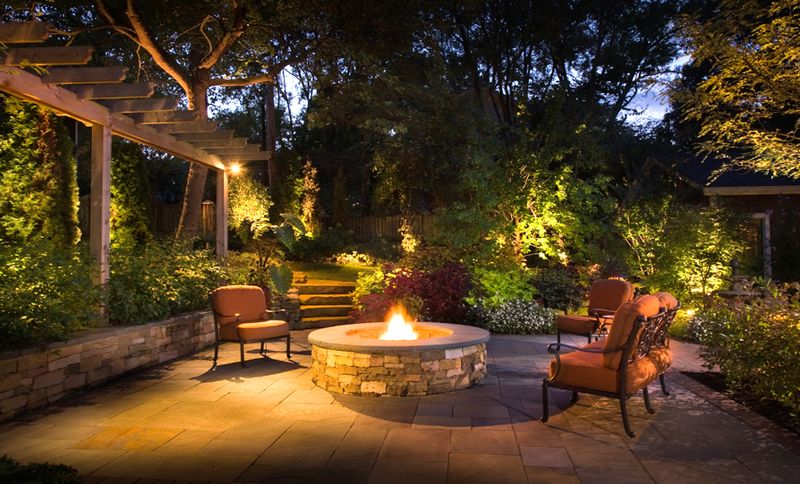 The dry laid, clay brick paver patio is the main patio surface, with a cut bluestone inlay, which defines the space around the fire pit. 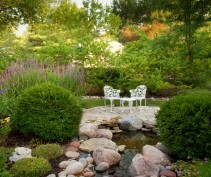 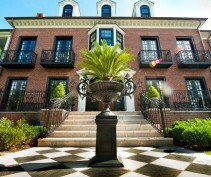 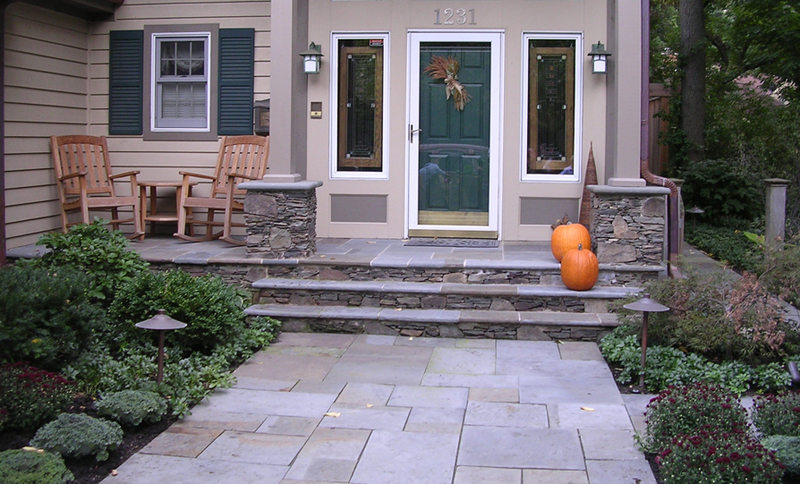 A tiered fountain is placed among seasonal color and near a conversational grouping. 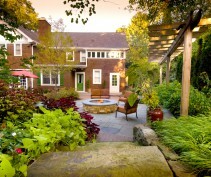 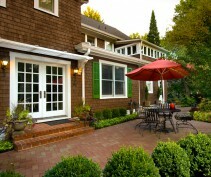 The cedar arbor and overhead tree canopy help to define the space and add vertical interest. 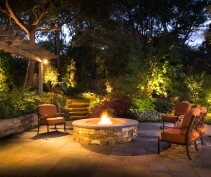 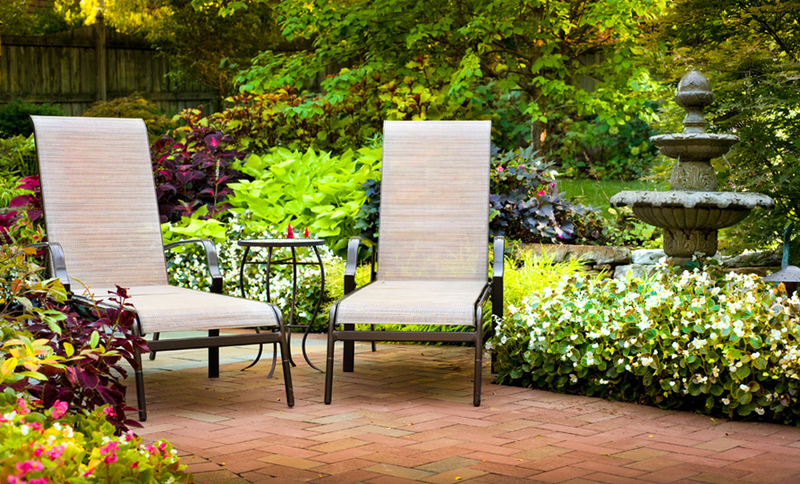 The soft accent lighting highlights both home and garden. 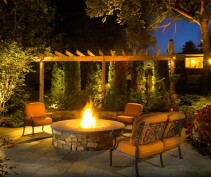 The outdoor lighting illuminates the pathways, highlights focal points and creates a peaceful ambiance.